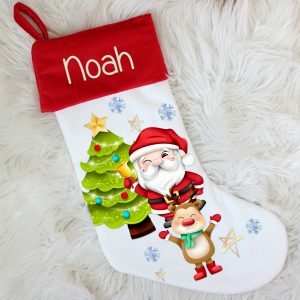 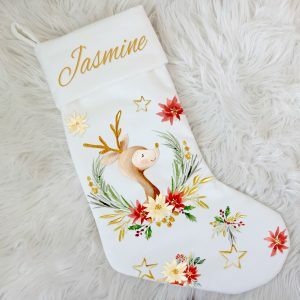 A special way to finish your Christmas touch with Santa filling one of our uniquely printed Christmas stockings. 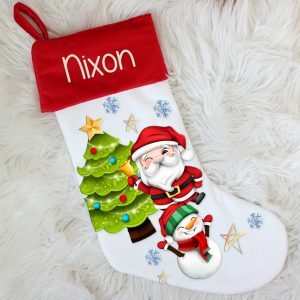 All printed here in store on high quality polyester velour material, stockings are also fully lined. 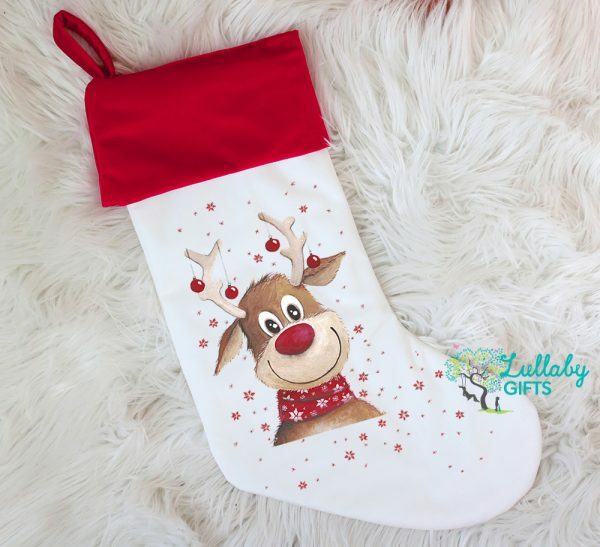 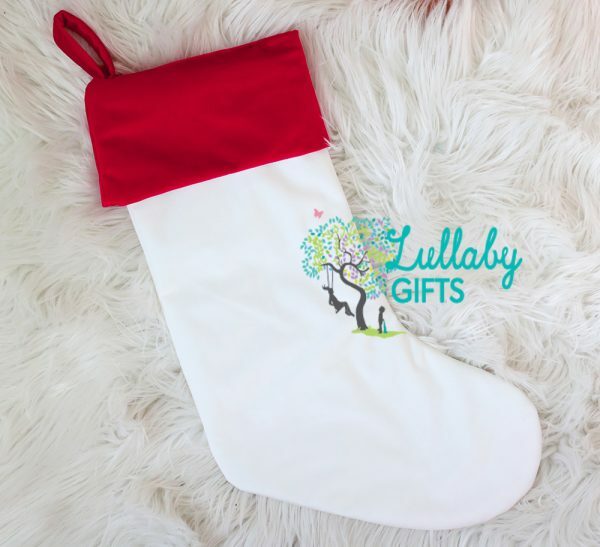 Measuring approx 23cm opening and 49cm long – a great size for Santa to fill with the all his goodies and all ready to be hung.